Plastic pallet making machine is the new type pallet making machine which manufacturing compressed plastic pallet, with advantages of high precision, high durability, high automation, and better molds design. 1. 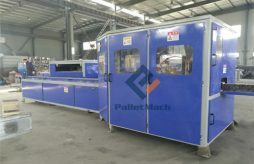 Plastic pallet machine is a new type of one time forming machine, and is also called plastic pallet machine and plastic pallet moulding machine. 2. Raw materials suitable for plastic pallet machine can be waste plastic, plastic bottle, plastic pellet, and plastic material and so on. 3. 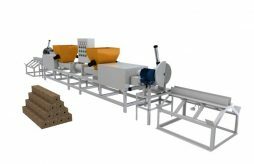 Compressed plastic pallet making machine is the perfect equipment for plastic recycling. Plastic pallet machine adopts three-beam four-column structure. The four column guide device assures the precision of closing moulds and the stability of pressing during the working of press machine. Plastic pallet making machine can achieve all the process automatically controlled by PLC system. The final pallet is one-piece design with round edges without burrs. They can stack easily and space saving 60% than the traditional plastic pallet. 1. 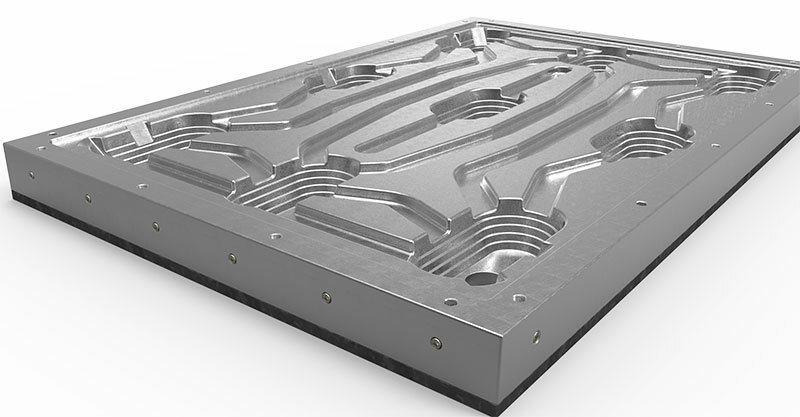 Engraved by a whole high strength steel plate with strong resistance to high temperature and high pressure. 2. Drilled inside the steel plate, the heat conduction oil way is well-distributed conduction performance, which completely solved the problem of welded oil circuit spilling. 3. All oil circuits are sealed by removable plugs, easy to maintain and dredge later, which will longer the service life of the mould. 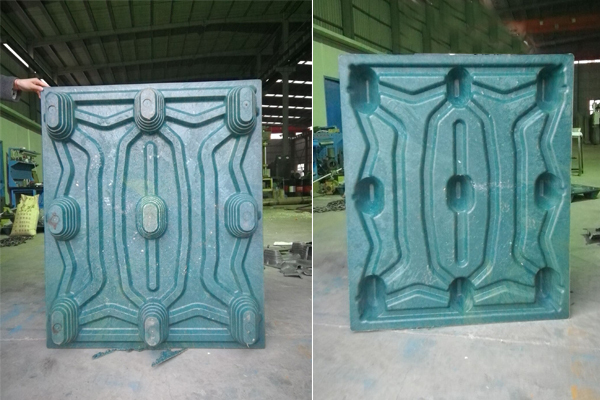 Pallet weight varies from 10 to 22 kg. 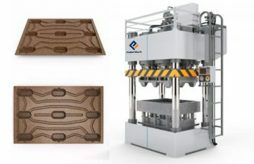 What materials can make compressed plastic pallet? Waste plastic, plastic bottles, plastic pellet, plastic material and waste plastic pallet, and so on.
. Waiting for your email! Copyright © 2019 Shanghai Pallet Machinery Co., Ltd.